Connecting your Mac to the Smart TV is one of the amazing things which you can do to enjoy a larger screen and better graphics. Those who have retina display can’t say same because as compared to retina the graphics of a smart tv may not be better but definitely the size of screen has better perks. 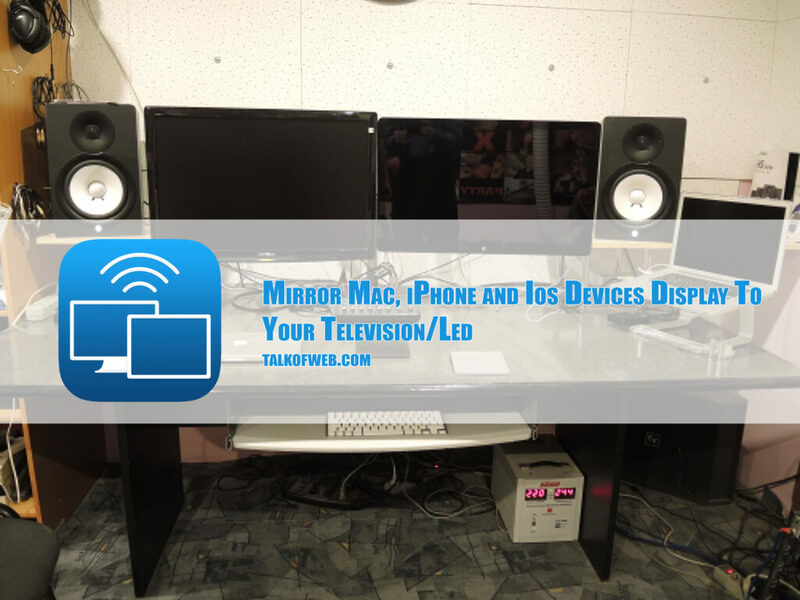 A lot of people don’t know that they can actually use their smart tv or other display devices as another display for mac or their laptops powered by Apple. There are some global mirroring technologies available for android smartphones known as miracast and same goes for the windows laptops, they can mirror their display to the smart tv through the help of open source third party technology which is available in both the devices rather take them for smartphones or smart tv’s. When it comes to Apple users, they are left behind because that built in mirroring technology present in televisions and other display devices is not present in Apple devices. Now, what are they ways left for apple users to mirror their displays into the smart tv’s and use the large capacity of screen area with them, and enjoy a better experience? Definitely this article is going to help such users out and let them know of their available options through which their large screen LED display of smart tv can be used with ease through Mac Book Pro, iMac or even iPhone. Previously, other articles have also been written to solve the problem of connecting or streaming your videos through Mac or other Apple devices to Smart TV. In such a case, the television or display which you are using must be smart in nature. The television must be able to connect to your network. Network can be either through LAN adapter or else through Wi-Fi. Both the devices the Mac as well as the display which you are going to be used must be on same network or if I say in other terms, must be under the same router. Rest, you can read this tutorial where a software is employed to be used for streaming content from Mac to your Smart TV. There is another tutorial which you can follow if the above software doesn’t work, in the following tutorial you can even make a playlist of your choice. The methods given in section 1 were all by means of softwares, before that I haven’t posted much about using hardware hacks to use Mac with smart tv. You can use three methods to workout your way of using secondary display with your Apple powered laptop or iMac. HDMI Cables are quite cheap now, they can vary in lengths and you can get a good cable at a smart price of $5. These cables can be plugged into your TV which may be smart or not, and the other end being plugged into your MAC or iMac or any HDMI supported laptop. 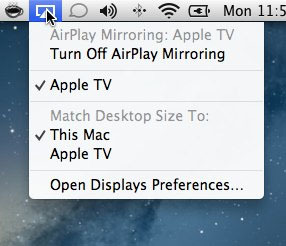 Instantaneously, the display of MAC will be mirrored to your TV. This is by far the most widely used method of mirroring your display to the other device. Apple TV is quite a product to provide you various options, but that is another discussion. You can purchase Apple TV for $100 and that can help you use your laptop through the Smart TV. The apple tv itself gets connected to the smart tv through the HDMI cable. But you can get connected to Apple TV without any cord and just need a common Wi-Fi connected for both the Apple TV as well as your laptop. In your laptop you may use the default display mirroring option, present in the task-bar at the top of the screen or else you may use MPlayerX and then use the following icon present in the player to play the running video on the bigger screen attached to the Apple TV as well. The same icon present in Task Bar of your mac can mirror the whole display to the TV. I don’t have an HDMI Supported Hardware What to do now? 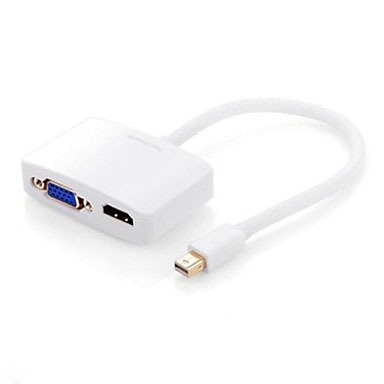 Again, there is a solution, a dongle which you can purchase which will be connected to the lightening port of your mac. The output of the dongle can either be a VGA Cable, an HDMI cable or anyone which you may like or is in your approach. This dongle can be purchased from any IT shop and shouldn’t be worth more than $30, but has different variants. The quality variants may be costly, or cheaper solutions can be of $20 as well. I think these options are more than enough to get your mac to other displays, and this article is going to be quite helping in deciding your available options which you can avail to get your display. The best option is again apple tv device, which will offer many other options to you as well. I’ll be writing it some other day the perks of using Apple TV.